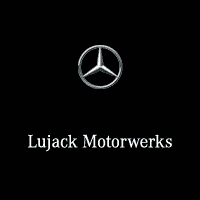 At Lujack’s we want our customers to feel like when they drive off of our lot that they leave with not only a great new car but also feel like they received not just a fair deal, but a great deal. We stand behind our vehicles and know that we’re giving you the best price in the market! Our sales staff will always work to find you the best price possible, but if you do happen to find a new vehicle selling for less than what we are offering we will match you 110% of the difference in price. -If you stumble upon the same vehicle at a better price at one of our competitors within 72-hours of your purchase we will match 110% of the difference! Sarah buys a car from Lujack’s for $20,000. 2 days later, Sarah sees the same exact car at a dealership across town for $19,000. Sarah comes back to Lujack’s and Lujack’s gives her a check for $1,100! Sarah happily takes her Lujack’s purchase and her check to the bank! Price match required written Bill of Sale to ensure identical vehicles and to ensure validity, rebates and fees.